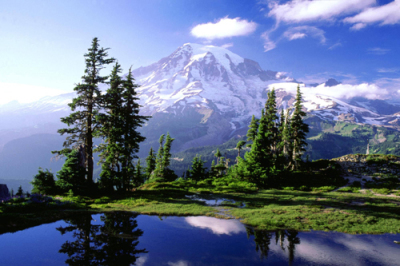 Washington is a state in the Pacific Northwest with terrain spanning the snow-capped Cascade Mountains to forested islands in Puget Sound. 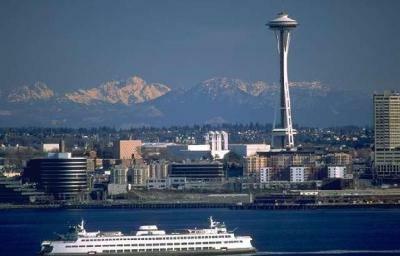 Its largest city, Seattle, is known for its thriving tech industry, vibrant music scene and celebrated coffeehouses. Its landmarks include the futuristic Space Needle and century-old Pike Place Market. 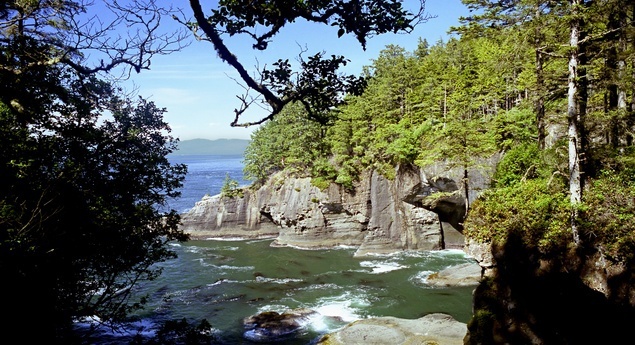 Nearby, hiking trails wind through the vast rainforest in Olympic National Park. 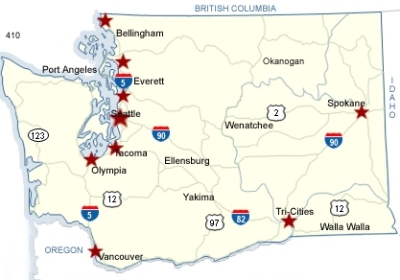 Washingtonis a state in the Pacific Northwest region of the United States located north of Oregon, west of Idaho, and south of the Canadian province of British Columbia on the coast of the Pacific Ocean. 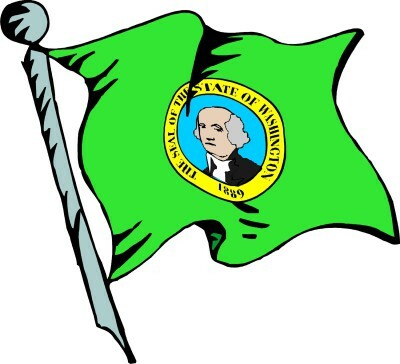 Named after George Washington, the first President of the United States, the state was made out of the western part of the Washington Territory, which had been ceded to Britain in 1846 by the Oregon Treaty as a settlement of the Oregon Boundary Dispute. It was admitted to the Union as the 42nd state in 1889. 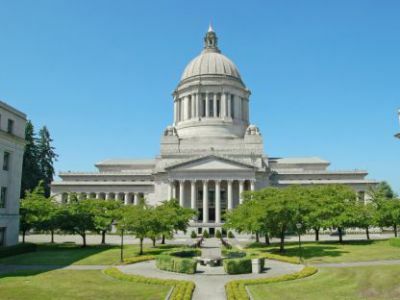 Washington is often referred to as Washington State or the State of Washington to distinguish it from Washington, D.C., the capital of the United States. Washington is a leading lumber producer. Its rugged surface is rich in stands of Douglas fir, hemlock, ponderosa and white pine, spruce, larch, and cedar. The state is the biggest producer of apples, hops, pears, red raspberries, spearmint oil, and sweet cherries, and ranks high in the production of apricots, asparagus, dry edible peas, grapes, lentils, peppermint oil, and potatoes. Livestock and livestock products make important contributions to total farm revenue, and the commercial fishing of salmon, halibut, and bottom fish makes a significant contribution to the state's economy. The skeletal remains of Kennewick Man, one of the oldest and most complete human remains ever found in North America, were discovered in Washington. Before the arrival of explorers from Europe, the region had many established tribes of Native Americans, notable for their totem poles and their ornately carved canoes and masks. Prominent among their industries were salmon fishing and, notably among the Makah, whale hunting. The peoples of the Interior had a very different subsistence-based culture based on hunting, food-gathering and some forms of agriculture, as well as a dependency on salmon from the Columbia and its tributaries. The smallpox epidemic of the 1770s devastated the Native American population.